Abaturov A. E., Kryuchko Т. A., Krivusha E. L., Poda O. A. An article covers the problem on preventing the development of non-alcoholic fatty liver disease (NAFLD) in children with the alimentary-constitutional type of obesity. Objective: to study the efficacy and safety of the betaine-arginine complex «Betargin» using for normalizing the basic metabolic processes of carbohydrate and fat metabolism in children with obesity in order to prevent the development and progression of steatohepatosis. In total 70 overweight children were followed-up. A full range of clinical, laboratory and instrumental research, which allow diagnosing NAFLD at early stages of its development, were carried out. 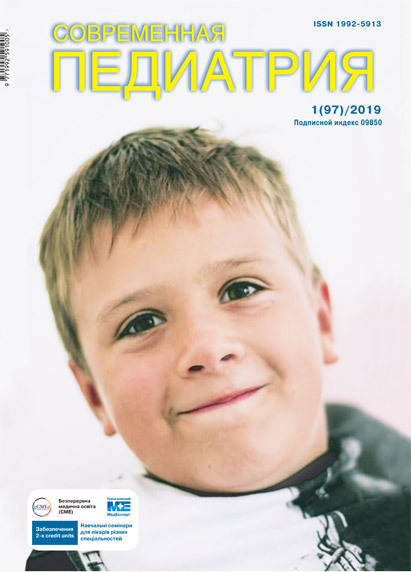 Overweight children were administered the complex drug «Betargin» with the aim of preventing the development of NAFLD. The efficacy of the drug has been set on the basis of clinical, laboratory and instrumental examinations conducted after the therapy. Key words: children, obesity, non-alcoholic fatty liver disease, betaine, arginine, hepatoprotective effect, treatment. 1. Velichko VІ. (2011). Features of the epidemiology of childhood obesity in the south of Ukraine. Child health. 7: 52-56. 2. 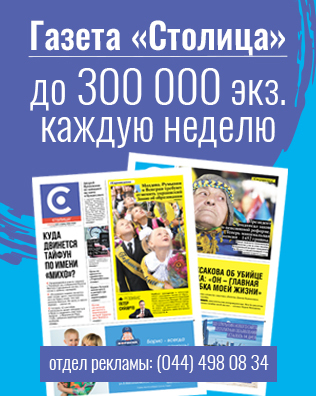 Stepanov JuM, Abaturov OЕ, Zavgorodnja NJu, Skirda ІJu. (2015). Non-alcoholic fatty liver disease in children: a modern look at the possibilities of diagnosis and treatment (Part II). Gastroenterology. 2(56): 58-67. 3. Anstee QM, Day CP. (2015, Aug). The Genetics of Nonalcoholic Fatty Liver Disease: Spotlight on PNPLA3 and TM6SF2. Semin Liver Dis. 35(3): 270—90. https://doi.org/10.1055/s-0035-1562947. 4. Araujo AR, Rosso N, Bedogni G et al. (2018, Feb). Global epidemiology of non-alcoholic fatty liver disease/non-alcoholic steatohepatitis: What we need in the future. Liver Int. 38; Sup 1: 47—51. https://doi.org/10.1111/liv.13643. 5. Arrese M, Feldstein AE. (2017, Apr). Nash-Related Cirrhosis: An Occult Liver Disease Burden. Hepatol Commun. 1(2): 84—86. https://doi.org/10.1002/hep4.1033. 6. Bush H, Golabi P, Younossi ZM. (2017, Jun 9). Pediatric Non-Alcoholic Fatty Liver Disease. Children (Basel). 4(6). pii: E48. https://doi.org/10.3390/children4060048. 7. Chalasani N, Younossi Z, Lavine JE et al. (2012, Jun). The diagnosis and management of non-alcoholic fatty liver disease:practice Guideline by the American Association for the Study of Liver Diseases, American College of Gastroenterology, and the American Gastroenterological Association. Hepatology. 55(6): 2005—23. https://doi.org/10.1002/hep.25762. 8. Clemente MG, Mandato C, Poeta M, Vajro P. (2016, Sep 28). Pediatric non-alcoholic fatty liver disease: Recent solutions, unresolved issues, and future research directions. Clemente. World J Gastroenterol. 22(36): 8078—93. https://doi.org/10.3748/wjg.v22.i36.8078. 9. Ekstedt M, Hagstrom H, Nasr P et al. (2015, May). Fibrosis stage is the strongest predictor for disease-specific mortality in NAFLD after up to 33 years of follow-up. Hepatology. 61(5): 1547—54. https://doi.org/10.1002/hep.27368. 10. Eslam M, George J. (2016, May). Genetic and epigenetic mechanisms of NASH. Hepatol Int. 10(3): 394—406. https://doi.org/10.1007/s12072-015-9689-y. 11. Eslam M, Valenti L, Romeo S. (2018, Feb). Genetics and epigenetics of NAFLD and NASH: Clinical impact. J Hepatol. 68(2): 268—279. https://doi.org/10.1016/j.jhep.2017.09.003. 12. Friedewald WT, Levy RI, Fridrickson DS. (1972, Jun). Estimation of the concentration of low-density lipoprotein cholesterol in plasma, without use of the preparative ultracentrifuge. Clin Chem. 18(6): 499—502. PMid:4337382. 13. Greydanus DE, Greydanus DE, Agana M, Kamboj MK et al. (2018, Apr). Pediatric obesity: Current concepts. Dis Mon. 64(4): 98—156. https://doi.org/10.1016/j.disamonth.2017.12.001. 14. Jacobs RL, van der Veen JN, Vance DE. (2013, Oct). Finding the balance: the role of S-adenosylmethionine and phosphatidylcholine metabolism in development of nonalcoholic fatty liver disease. Hepatology. 58(4): 1207—9. https://doi.org/10.1002/hep.26499. 15. Jolliffe CJ, Janssen I. (2007, Feb 27). Development of age-specific adolescent metabolic syndrome criteria that are linked to the Adult Treatment Panel III and International Diabetes Federation criteria. J Am Coll Cardiol. 49(8): 891—8. https://doi.org/10.1016/j.jacc.2006.08.065. 16. Khoonsari M, Mohammad Hosseini Azar M, Ghavam R et al. (2017, Spring). Clinical Manifestations and Diagnosis of Nonalcoholic Fatty Liver Disease. Iran J Pathol. Spring. 12(2): 99—105. 17. Lewis JR, Mohanty SR. (2010, Mar). Non-alcoholic Fatty Liver Disease: A Review and Update. Dig Dis Sci. 55(3): 560—78. https://doi.org/10.1007/s10620-009-1081-0. 18. Lin MS, Lin TH, Guo SE et al. (2017, Oct 30). Waist-to-height ratio is a useful index for nonalcoholic fatty liver disease in children and adolescents: a secondary data analysis. BMC Public Health. 17(1): 851. https://doi.org/10.1186/s12889-017-4868-5. 19. Nobili V, Donati B, Panera N et al. (2014, May). A 4-polymorphism risk score predicts steatohepatitis in children with nonalcoholic fatty liver disease. J Pediatr Gastroenterol Nutr. 58(5): 632–6. https://doi.org/10.1097/MPG.0000000000000279. 20. Pappachan JM, Babu S, Krishnan B, Ravindran NC. (2017, Dec 28). Non-alcoholic Fatty Liver Disease: A Clinical Update. J Clin Transl Hepatol. 5(4): 384—393. https://doi.org/10.14218/JCTH.2017.00013. 21. Perumpail BJ, Khan MA, Yoo ER et al. (2017, Dec 21). Clinical epidemiology and disease burden of nonalcoholic fatty liver disease. World J Gastroenterol. 23(47): 8263—8276. https://doi.org/10.3748/wjg.v23.i47.8263. 22. Ratziu V, Bellentani S, Cortez-Pinto H et al. (2010, Aug). A positionstatement on NAFLD/NASH based on the EASL 2009 special conference. J Hepatol. 53(2): 372—84. https://doi.org/10.1016/j.jhep.2010.04.008. 23. Schwimmer JB, Behling C, Newbury R et al. (2005, Sep). Histopathology of pediatric nonalcoholic fatty liver disease. Hepatology. 42(3): 641—9. https://doi.org/10.1002/hep.20842. 24. Seko Y, Yamaguchi K, Itoh Y. (2018, Apr). The genetic backgrounds in nonalcoholic fatty liver disease. Clin J Gastroenterol. 11(2): 97—102. https://doi.org/10.1007/s12328-018-0841-9. 26. Sumida Y, Yoneda M. (2018, Mar). Current and future pharmacological therapies for NAFLD/NASH. J Gastroenterol. 53(3): 362—376. https://doi.org/10.1007/s00535-017-1415-1. 27. Tseng PH, Liu CJ, Kao JH et al. (2008, Oct). Disease progression in a patient with nonalcoholic steatohepatitis. J Formos Med Assoc.107(10): 816—21. https://doi.org/10.1016/S0929-6646(08)60196-5. 28. Ued Fda V, Weffort VR. (2013, Dec). Antioxidant vitamins in the context of nonalcoholic fatty liver disease in obese children and adolescents. Rev Paul Pediatr. 31(4): 523—30. https://doi.org/10.1590/S0103-05822013000400016. 29. Valenti L, Alisi A, Galmozzi E et al. (2010, Oct). I148M patatin-like phospholipase domain-containing 3 gene variant and severity of pediatric nonalcoholic fatty liver disease. 52(4): 1274—80. doi 10.1002/hep.23823. 30. Younossi Z, Anstee QM, Marietti M et al. (2018, Jan). Global burden of NAFLD and NASH: trends, predictions, risk factors and prevention. Nat Rev Gastroenterol Hepatol. 15(1): 11—20. https://doi.org/10.1038/nrgastro.2017.109.